The last year has flown by in a flurry of nappies, sleepless nights, endless photos, late night cuddles, what-the-hell-am-i-doing? moments and love so strong I didn’t know it existed. And despite the bags under my eyes, the extra kilos, the sleep deprived bickering and the not-so-attractive bits which I’m sure weren’t like that before, I’m proud (and relieved) to say that we have survived year one. I am now the proud owner mother of a hyperactive toddler and a new chapter of mishaps and misadventure lies before me. So what have I learnt? 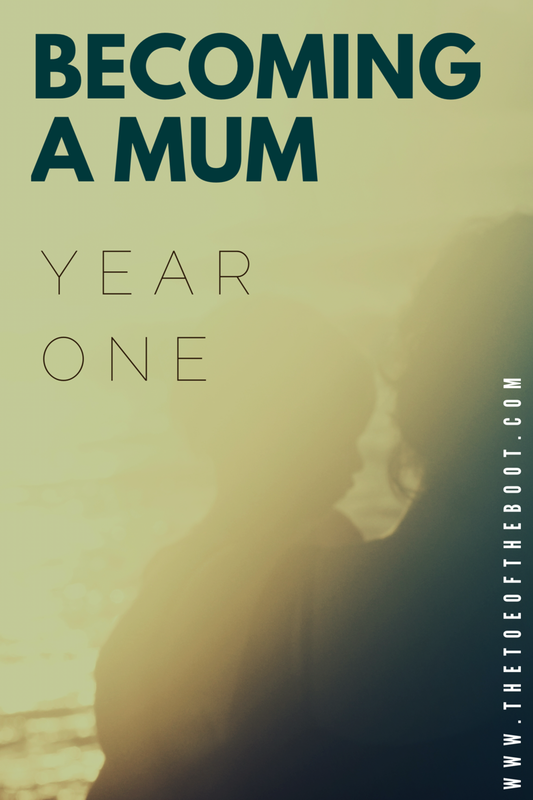 I’ve learnt that giving birth doesn’t have to be a big, scary event that requires the drama that it borrows from Hollywood films and so many scaremongering mums. I’m still not sure whether I particularly want to share my own birth story, not because it was a negative experience, in fact it was the opposite, my overwhelming feeling was one of calm euphoria (and yes I know that sounds unlikely, particularly from me) but my own experience was such an intimate moment that selfishly I’m not sure if I want to share that with anyone. I’ve learnt that all those grand statements that any non-parent makes, claims and promises of how I swore I wouldn’t do something or how much I would insist on something, were all total inventions. The dummy, the videos, the not co-sleeping… even with the best intentions, it’s not until you live a situation that you can really make an informed (or desperate) decision. Being a parent is hard work. Yes I’d heard that before but I hadn’t and honestly don’t believe I could have anticipated what lay around the corner. I nonchalantly shrugged off the prospect of sleepless nights, hey I hardly sleep anyway I thought. Oh how wrong I was. Nothing can prepare you for the impact a baby has on your life and I mean on every aspect of your life. Your social life dissipates, each day becomes a challenge worthy of TV game show proportions, when you finally master how to do something alas there is noone there to applaud you or pat you on the back so your little victories remain exactly that. And anyway, it’s not as though you can recount to your non-parent friends how you managed to get your little one to sleep in only 45 minutes without seeing that glazed look while they desperately eye up the fruit machine. Despite all those moments of frustration and yearning for just one full night’s sleep or night on the tiles, you know in your heart that you wouldn’t change anything because it’s not just the joy you get when your little monkey smiles at you but it’s the feeling of purpose that suddenly appears in your life that hadn’t been there before. Sure you were always important to your coworkers when they needed something doing, sure you always provided the bottle of wine and shoulder to cry on for your best friend when they needed you, but knowing you are the singular most important thing in that tiny baby’s universe is a frighteningly beautiful and fiercely proud thing. So yes, I will nod along with the internet memes about how it feels to have sleepless nights and yes I will smirk and laugh along with the “I used to be fun” jokes and falsely lament at my lack of time and independence. But secretly I will proudly smile when anyone mentions what it’s like to be a parent because I know that I’ve become a member of the best club in the world and I wouldn’t give that up for anything. It’s true, time really does fly, wish she could stay little forever!!! Being a parent is alot of responsibility and late /sleepless nights. I don’t know if i can handle it. But im happy to hear that it brings you so much joy. I am in my 7th month of being a mom. Time definitely flies and I agree…you learn SO much! I can only image that your first Mother’s Day as a mom is so exciting! Congrats on your little babe. I know Mother’s Day always means a lot to my mom, so I’m sure it means a lot to you, too.